I am attempting to create some groundwater elevation rasters using IDW. There will be a raster for every month for about the past 10 years. Since readings are taken from wells once a month, I normally need to select by attribute based on the reading date, then use that selection in IDW. Additionally there are two wells that need to be excluded from the process. 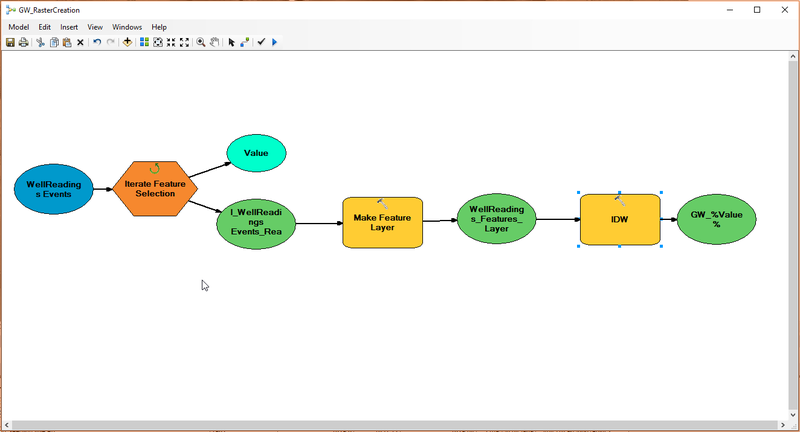 Since I have a lot of data to work through I want to do it all using ModelBuilder. I am using ArcGIS Desktop 10.5. I'm attempting to start by grouping all of the reading dates using the Iterator, than take that data and using it to create a feature layer and to apply the SQL expression I want to apply. The next step would be to plug that into the IDW tool. 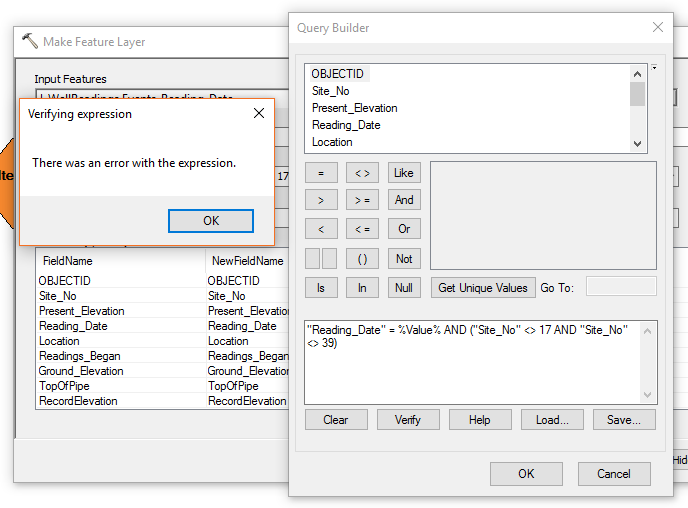 Browse other questions tagged arcgis-desktop modelbuilder arcgis-10.5 inverse-distance-weighted error-010067 or ask your own question. Doing a viewshed analysis from INSIDE a building?